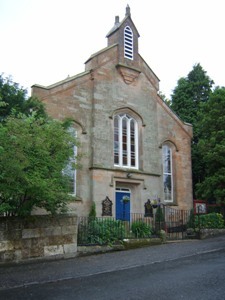 The Friendly Village Church at the heart of the Community. Celebrating the Christian Faith in Busby since 1875. As minister of Busby Parish Church I feel we take a pride in the warmth of the welcome we provide. Whether you are a regular visitor, or coming along for the very first time, it is always lovely to see you. Worship is on a Sunday Morning at 11.00.a.m. but there are also opportunities at various times during the year to worship in the evening at 6.30p.m. excluding January, July and August. Busby Parish Church is a place of togetherness and inclusion for all. We extend to everyone young and old, friend and stranger a warm welcome to our Church in the heart of Busby. Whether you come to Worship or share in the Fellowship of the various events or participate in the activities of our organisations or just try us out I am sure you will find your experience both enjoyable and rewarding. Giving and receiving is at the heart of our beliefs. We give to show our gratitude for all that is received from GOD. We give to make a difference to individual lives, the life of the community and the life of the world. Please come along and share in our giving. A warm welcome awaits you in Busby. We extend to everyone young and old, friend and stranger a warm welcome to our Church in the heart of Busby.